The Ready Room is alive and well and really exists in Virginia! 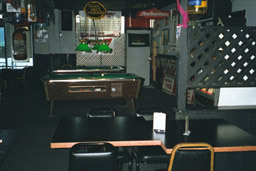 Biehn fans will remember this place as the bar the team congregated in after Graham's funeral in Navy SEALs. A couple members of the Biehn Team were lucky enough to locate Fran's Ready Room on a visit to the area. Naturally, some things have changed since Navy SEALs was filmed there, but many things remain the same. Fran is one of the constants. Now the owner, she was the manager at the time the movie was filmed and was kind enough to share some of her recollections with us. 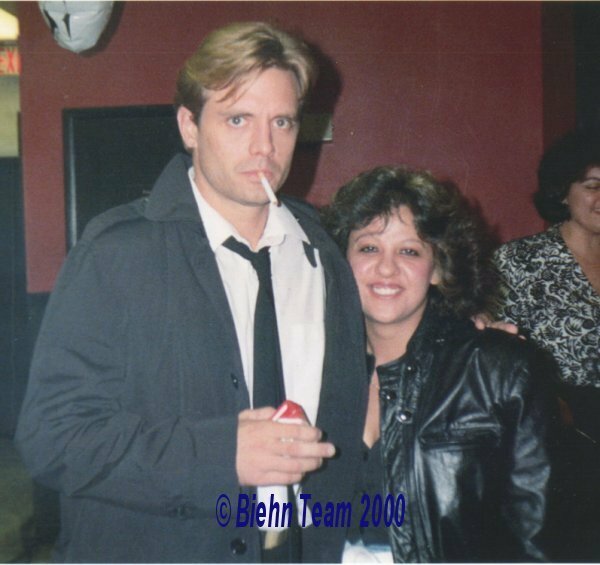 She said that Michael Biehn was "an angel," gracious and accommodating when asked for an autograph or to pose for pictures with fans. Cast members, including the object of our admiration, frequented the bar during their off hours, and drank up lots of the inventory, keeping Fran busy with restocking the wet goods! Beer went the fastest. The Ready Room was chosen as a shooting location because one of the military advisors for the film, a SEAL himself, recommended it as a SEAL hangout. It's still a place where SEALs and other military folks gather to relax and enjoy the friendly atmosphere. 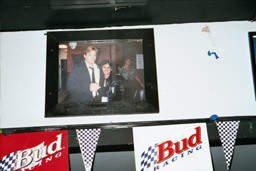 There are pictures, posters and articles about the movie hanging in glass cases on the walls, and the wine glass rack suspended above the bar in the movie is still there. It was installed by the film crew specifically for the film. The cooler MB's character reaches into has been moved because the bar itself has been revamped and made longer. 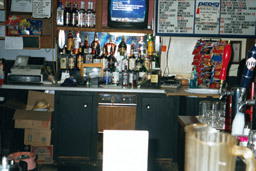 Speaking of the bar, the scene where Dane [Bill Paxton] pours liquor on the bar top and lights it had to be shot 16 times because someone kept flubbing their lines! 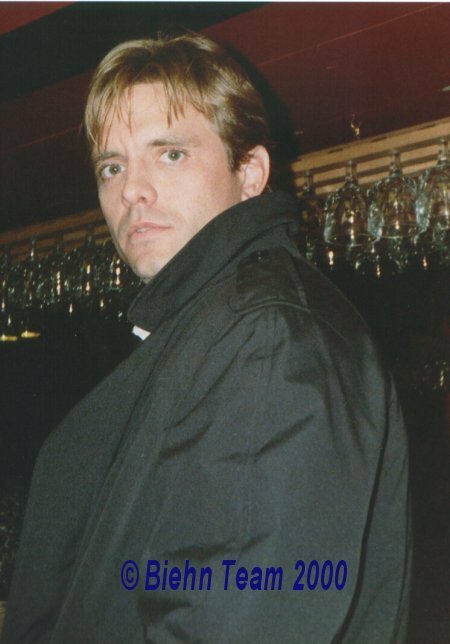 [No, it wasn't Michael Biehn, but the actor can currently be seen on Spin City.] The liquor was really a mixture of alcohol and oil to facilitate burning. 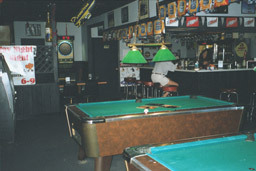 The pool tables are still there, and the televisions are larger now. It's a very friendly place and the staff seemed happy to discuss the movie with two strangers who just dropped in. 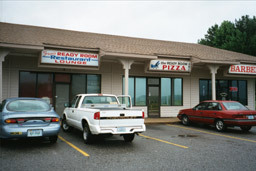 Fran's Ready Room is located at 1805 London Bridge Rd., Virginia Beach, Virginia. Tell Fran the Biehn Team sent you! And here's some pictures of Michael while filming Navy SEALs. The Biehn Team would like to thank Fran, the owner of the Ready Room, for sharing her insights!